Irish golfer Gavin Moynihan is one round away from securing his 2019 European Tour card after another solid day at Qualifying School. The 24-year-old Dubliner is currrently in a tie for 15th after a bogey free round of 66 today that included five birdies. The top 25 players earn tour cards for next year. Moynihan lost his European Tour status in 2017 after finishing 213th in the Race to Dubai, and has already secured a Challenge Tour card for 2019 if he isn't successful tomorrow at Lumine Golf Club in Spain. Moynihan is currently one stroke inside the top 25 on -16 ahead of tomorrow's final round. 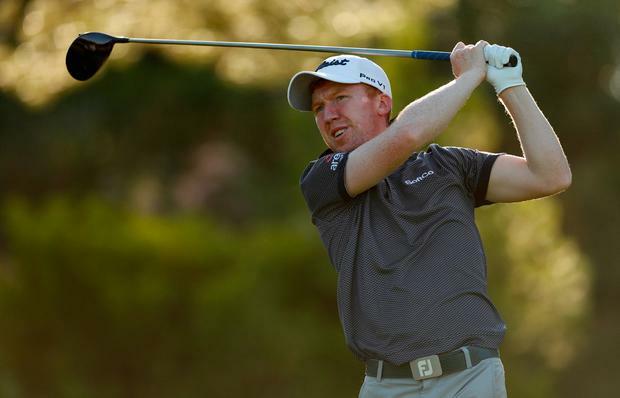 Irishman Cormac Sharvin is also in with a chance of earning his tour card for next year, as he is currently in a tie for 32nd and is two shots outside the top 25 on -13. Moynihan tees off tomorrow at 10.10am while Sharvin gets underway at 9.10am.